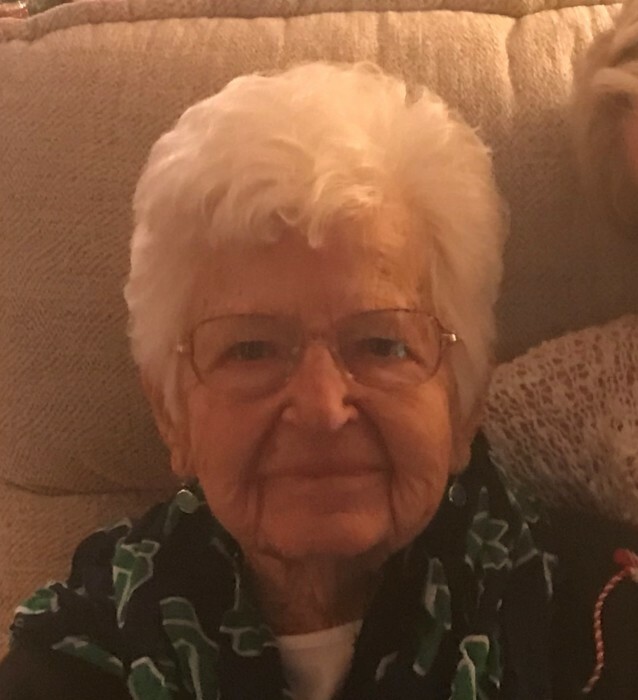 Anna M. (Ulchinsky) Niemkiewicz, 93, of Slatington, wife of the late Joseph B. Niemkiewicz whom she celebrated 61 years of marriage, peacefully entered into rest on Friday March 15, 2019 surrounded by love. Born April 11, 1925, in Shenandoah, Pennsylvania, she was the daughter of the late Hipolit and Caroline Ulchinsky. Anna lived a life of faith and devotion. As a member of Assumption BVM church, she was devoted in her faith and was a dedicated military wife and mother. Spending time with her children and grandchildren was her greatest joy. She loved all things Notre Dame, animals, traveling, stretch class and the great outdoors; namely swimming, walking, and golfing. Anyone who knew Anna knew her kindness, strength, and love. To her friends, fellow parishioners and neighbors, the family would like to extend their sincerest gratitude for all of your support and care. Survivors: Anna is survived by six children, Nancy and husband Peter Shoudy of West Chester, Lisa Niemkiewicz of Macungie, Susan Niemkiewicz of Washington Township, David and wife Diane Niemkiewicz of Lititz, Amy Niemkiewicz fiancé of Vernon Whitmyer of Landisville and Mark Niemkiewicz of York. She is also survived by five loving grandchildren Stacy, Steven (Jocelyn), Grant, Anna, Owen, and great grandson Luke. Services: A Mass of Christian Burial will take place at 11 a.m. Thursday March 21, 2019 at Assumption BVM Catholic Church, 649 W. Washington St., Slatington, with the Reverend Eric Arnout as Celebrant. The family will receive friends and family from 10 to 11 a.m. at the church. Interment will be at Indiantown Gap National Cemetery at 11:30 A.M. Friday March 22, 2019. Arrangements: Harding Funeral Home, 25-27 N. Second Street, Slatington. Contributions: In lieu of flowers, contributions can be made in Anna’s memory to Assumption BVM Parish, 633 W. Washington St., Slatington, PA 18080.